The Saint Benedict Metal Rosary with Keyring is 2 gifts in 1. The beautiful Saint Benedict Rosary features a modest Saint Benedict medal in the center, a silver crucifix and lovely beading. 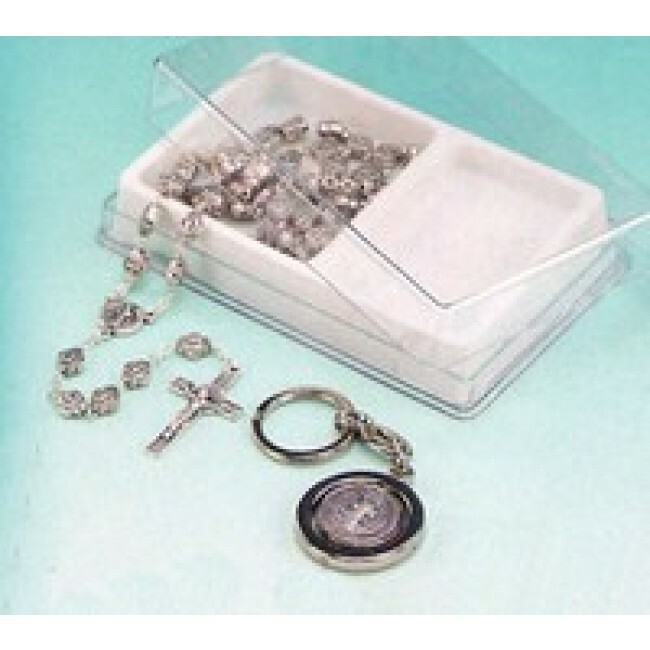 A matching keyring with a larger version of the Saint Benedict medal is also included. Saint Benedict was born in Italy and founded 12 monasteries during the Middle Ages. He is best known for his first monastery at Monte Cassino. He also authored 12 rules known to govern his monks, a work known as The Benedictine Rule.